Admiralty and maritime law, which is determined under federal law, exists whenever the injury occurs in navigable waters. Navigable waters mean any waterway that ultimately leads to the ocean. This includes any body of water except landlocked lakes. These laws apply to passengers and crew members. Each has separate legal rights and requirements. Holzberg Legal, based in Miami, Florida has represented travelers and crew members from around the World. Miami Maritime lawyer, Glenn J Holzberg, has been representing cruise ship boating passengers and crew members for over 35 years. The great city of Miami affords us a unique opportunity to be involved in the growing maritime industry. Miami is a gateway to our oceans and the globe, we represent a diverse and international clientele. The greatest concentration of Cruise Lines are headquartered in Miami and South Florida, including Carnival Cruise Lines, Royal Caribbean Cruises, Celebrity Cruises, Azamara Cruise Lines, Norwegian Cruise Lines, Costa Cruises, and Regent Seven Seas Cruises. Holzberg Legal helps victims throughout the world. We have successfully represented clients throughout the United States, Canada and the Caribbean including the Bahamas, Jamaica, Haiti, St. Thomas, US Virgin Islands, Puerto Rico, Trinidad and Tobago as well as Mexico, Costa Rica, Nicaragua, Panama, Guatemala, El Salvador, Colombia, Venezuela, Peru, Brazil, Bolivia, Uruguay, Spain, France, Germany, Italy, The United Kingdom, Finland, Austria, Lithuania, Croatia, Bosnia, Israel, Russia, India, Japan, Dubai and South Africa. Holzberg Legal proudly represents crewmembers/seamen from all over the world, on cruise ships and yachts, commercial vessels and other ships at sea, in intercostal, on rivers and in all navigable waters, on tugboats, barges, dredging boats, and oil rigs. A seaman who is seriously injured or who dies is entitled to damages under federal law. 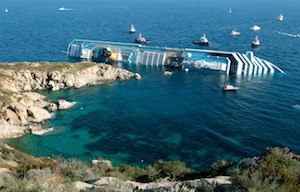 The Jones Act provides damages for “maintenance and cure,” as well as those arising from the negligence or unseaworthiness of the owner, operator's vessel, or crew. “Maintenance” entitles you to your wages while you are out of work, and “cure” provides medical care and treatment, until you reach a maximum medical cure. This includes housing, food, transportation to and from medical care and procedures, surgery and rehabilitation. If your loved one died due to negligence or un-seaworthiness, the Death on the High Seas Act (DOHSA) entitles the seaman’s spouse or dependent children to collect compensation. Longshore and Harbor Workers are also entitled to damages for their injuries and death resulting from the negligence of others under the Longshore and Harbor Worker’s Compensation Act (LHWCA). Call an experienced Miami maritime lawyer today for your free initial consultation. If you or your family has been seriously injured on a cruise ship boat or in any maritime incident call HOLZBERG LEGAL (305) 668-6410 for a FREE CONSULTATION with an experienced trial lawyer.